Celebrate the holidays with us at these Special Events! Winter Nights festivities at 5-7pm every Saturday in December, plus December 22-23, 26-30. 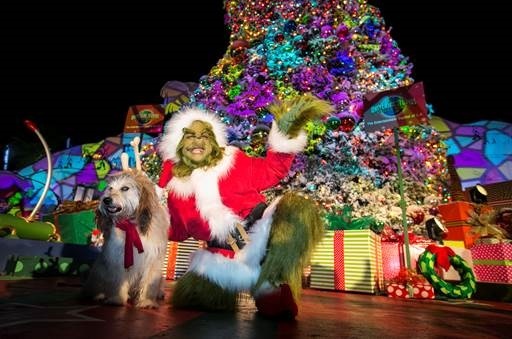 Nightly Tree Lighting at 5pm, now through December 25. Holiday Fireworks at 7pm on December 26-30. Kids’ New Year’s Eve celebration from 11:30am-6pm on December on December 31. There are seven days to go until the international search for London’s Official Guest of Honour ends. Launched last month (November 12) byVISITLONDON.COM, the official Visitor Guide to the capital, together with VisitBritain and the GREAT Britain campaign, the opportunity has drawn thousands of people from all over the world to apply for this once-in-a-lifetime chance to experience London as never before, with many more expected before applications close on Tuesday, December 9. The winning guest will be invited to London in February 2015 and will have the unique honor of opening Tower Bridge, the most famous bridge in the world, visiting the Science Museum with renowned physicist Professor Stephen Hawking. Downton Abbey’s butler Carson – actor Jim Carter – will provide the winner with afternoon tea at Lord’s Cricket Ground; and both the world-famous singer and conductor, Plácido Domingo and British ballerina and Strictly Come Dancing judge Darcey Bussell, will take the winner to one of their favorite theatres in the world, the Royal Opera House. The Michelin-starred chef Jason Atherton will personally cook a meal for the Official Guest of Honour at one of the capital’s best restaurants and the Speaker of the House of Commons, the Rt Hon John Bercow MP, will take the Guest of Honour behind the scenes of the Houses of Parliament. As part of the experience, the Guest of Honour will fire the guns from HMS Belfast, be an extra in the West End smash hit musical Mamma Mia!, walk the red carpet at a film premiere in Central London, and meet the English tennis star Tim Henman for a VIP tour of the All England Tennis Club, which hosts The Wimbledon Championships. To apply to be London’s Official Guest of Honour, entrants must go to Visitlondon.com, submit a short film or image and in 70 words describe their perfect day in London. The closing date is December 9, 2014 and participants must be ages 18 and over. For all terms and conditions see thevisitlondon.com website.